In 1884, John Bradstreet moved into the Judd House, a boarding house located directly across from the Minneapolis City Hall that was occupied by some of the most fashionable people in the city. 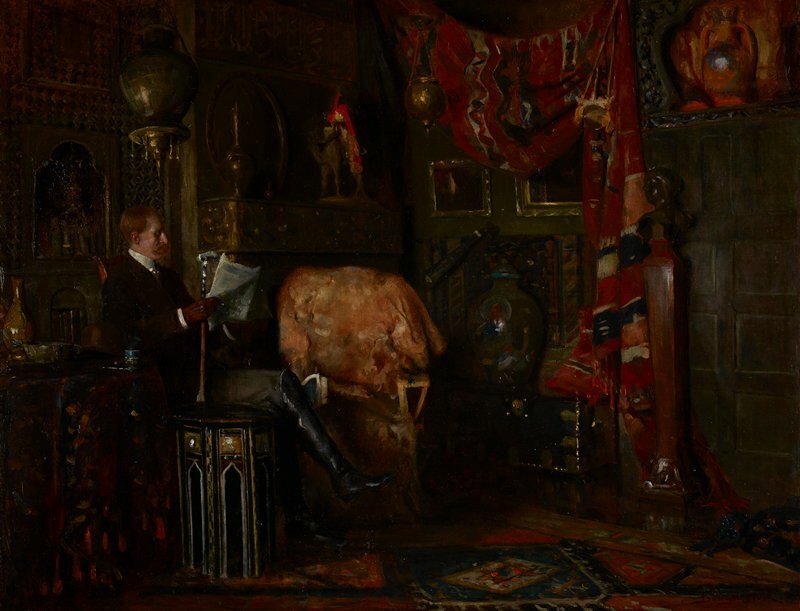 Bradstreet remodeled his rooms according to his own taste for the exotic, and Volk depicts him seated among turkeywork carpets and Moorish-inspired architectural elements and furniture. Recent conservation of this picture was made possible by a generous contribution from Paula Vesely through the Adopt-a-Painting program.